As adults, it’s safe to say that most of us have developed a kneejerk reaction and wince whenever we hear Barney’s “I Love You” theme, or when a child asks us to read Dr. Seuss’ Green Eggs and Ham for the millionth time. Although we may write these works off as kids’ stuff, what if there’s more to these colourful characters than meets the eye? Join Wordsmith to explore the world of children’s marketing. According to The New York Times Magazine, customers are becoming less loyal to companies – opting instead to try the new and fresh. “Brand names have become less important as proxies for quality,” says Stanford University marketing professor Itamar Simonson, noting that consumers are now increasingly looking towards the Internet for information before forming their opinions. How is an established brand like Disney able to defy this trend and continue pump out billions of merchandising revenue? Unlike most businesses, Disney is a company that sells products not based on the quality of craftsmanship, but based on the quality of its stories. “We create products that extend the storytelling – the emotional connection that the consumer has when they’re seeing the film carries on in the three-dimensional world,” says Josh Silverman, the executive vice president of Disney’s global licensing. Although Anna and Elsa are equally important in Disney’s animated movie Frozen, Elsa toys dominate in retail with stores selling “two Elsas for every Anna” according to Wall Street Journal. Some have speculated that Elsa’s icy powers in the film are what gives her the edge over her sister. Remember when Disney released Frozen in the winter of 2013? With a predictable plot and a soundtrack that broke 2014’s Billboard top charts, the movie became a sensational hit and merchandisers salivated at the branding opportunities – giving rise to the “Frozen effect”. Apart from the extensive line of expected toys and t-shirts, marketers went absolutely ballistic pasting Princesses Anna’s and Elsa’s faces on everything in sight. From Campbell’s canned soups and Listerine to duct tape, the Frozen merchandising madness created royalties worth US$13.4 billion in 2015, according to the International Licensing Industry Merchandisers’ Association. A majority of these items were limited editions as well – which built on the “Fear of Missing Out” to drive sales even further. Beyond simple merchandise, the movie’s success lead to the creation of “Disney on Ice Presents ‘Frozen’”, which saw hundreds of eager fans flocking to indulge in overpriced snow cones, pictures and other memorabilia. The power of Frozen was so strong, Disney even released an Elsa-inspired wedding dresses (only USD$1,200 each!) and began selling tours to Norway (sites of inspiration for the film’s animators) from USD$5,000 upwards. To the average person, Anna and Elsa may just be another pair of Disney princesses, but there was no denying the incredible spending power they command (at the expense of children’s parents). 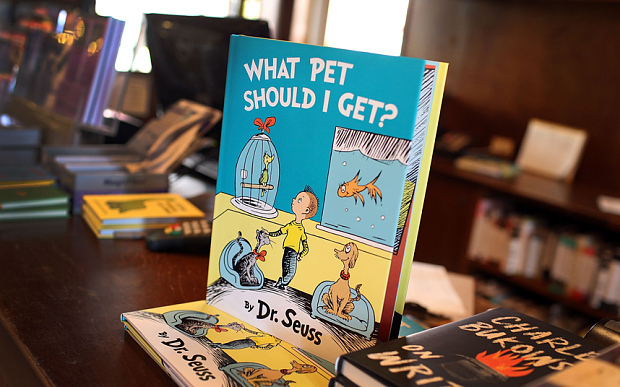 As adults, we probably have little reason to ever pick up a children’s book or watch a children’s TV show (assuming that we’re not the parent of a young child). However if you take a moment to watch an old episode of Sesame Street, you might just discover why this show is so popular with younger viewers. While we probably don’t need Elmo to teach us how to use a toilet or Count von Count to teach us numbers, the fine writing of the show is something that we as marketers and copywriters can take note of. Pay attention to how children react to the episode. Are they seemingly enthralled by what’s happening? Maybe even blurting out answers to the television? This uncanny ability to engage audiences is what makes Sesame Street so powerful. Sesame Street regularly invites celebrities onto the show to teach certain values. Shown here is Sir Ian McKellen (most notable for his role as Gandalf from the Lord of the Rings film series) demonstrating to Cookie Monster and the audience how to “resist” an urge. A lot of Sesame Street’s skits involve scenarios that are highly relevant to children (like Cookie Monster learning about the merits of a healthy diet and why he should save his favourite cookies as an occasional treat instead). Furthermore, when the characters on screen are speaking, they often directly address the viewer. Whether for a children’s show or marketing in general, actively engaging the audience in conversation makes them feel special – not only grabbing their attention, but resonating with them and motivating them to continue listening. Highly recognisable and well-known characters make perfect mascots for marketing campaigns. Sesame Street has a wonderful array of distinctive and quirky characters. From the innocent and sweet Elmo to the friendly and inquisitive Big Bird, each of the show’s characters are easily discernible in both appearance and personality. So when the Sesame Workshop, the Produce Marketing Association (PMA), Partnership for a Healthier America (PHA) and former First Lady Michelle Obama collaborated in a well-meaning campaign to promote healthy fruit and vegetable consumption to children, the show’s curious and education-loving crew were perfect for the job. It is traditional for the First Lady of the United States to support a good cause. Shown here is former First Lady Michelle Obama with Sesame Street’s Big Bird, promoting the benefits of a healthy diet. It’s easy for us to get cynical when we have to read, watch or market content created for children. But if you look past the colourful exterior, there’s often a trove of useful material within. When it comes to marketing, audience engagement, gripping storytelling and clear character development speak to audiences of all ages – and your friendly neighbourhood copywriters are here to help!